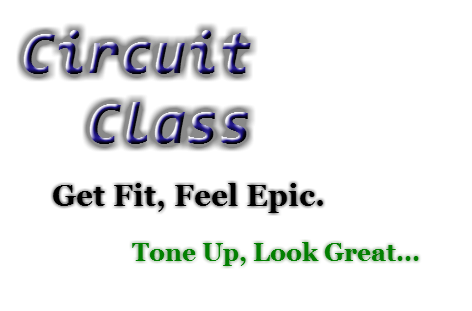 Core Class focuses on upper core and lower back strength and stability using your own body weight in addition to different resistance and balance equipment. Core Conditioning – (Beginner and Advanced courses available) is the act of strengthening the abdominals as well as the torso. This can tone and condition the abdominals, reduce back pain, and help the body to move properly both in exercise and everyday movement. Core conditioning is much more than the typical sit-ups or crunches, and it also engages the muscles of the abs, both in the front and along the sides of the body, as well as the muscles around the shoulders, pelvis, and along the spinal column. This is truly the ultimate fully body workout. In a Core and Stretch Class we incorporate a fusion of core focused yoga postures concentrating on flexibility lean muscle development and overall strength. Muscular Strength & Range of Movement (MSROM) – This Silver Sneakers Class is great fun with variety of exercises designed to increase muscular strength, range of movement, and activity for daily living skills. Find out more about the Silver Sneakers Program at silversneakers.com. 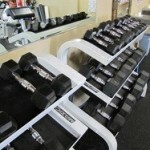 Silver Sneakers Classic – A classic Silver Sneakers Fitness Program available at Kris’s Total Fitness. Get Fit! Have Fun! Make Friends! 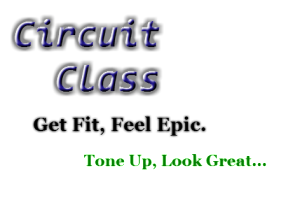 Circuit Class – Circuit training is a fast-paced class in which you do one exercise for 30 seconds to 5 minutes and then move on to another exercise. 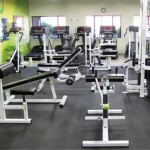 It’s a whole range of different exercise activities, one after the other, all in one fast-paced class.